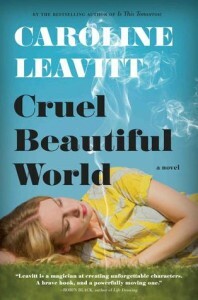 In her eleventh novel, Cruel Beautiful World, Leavitt takes on the Sixties, blending heart, mystery, and the politics of an era in a slow-burner about a girl who disappears with her high school English teacher, leaving behind the two women who have raised her, setting in motion a search that will have profound consequences for all three women. The story centers on sixteen-year old Lucy, a beautiful misfit who feels abandoned by her older sister, Charlotte, and ambivalent towards her guardian, Iris. In her teenage ennui, confusion, and naivete she sets off for rural Pennsylvania with William. But William isn’t what he appears and as their relationship becomes more secretive, less what she’d dreamed, Lucy realizes her young life has spun out of control. Her last chance to save herself seems contacting Charlotte several states away and hoping she can arrive in time to help Lucy escape William’s controlling presence. Cruel Beautiful World is about America in 1969, a time in which the nation was forced to come to terms with the dark impulses lurking beneath its apparent innocence. With the Vietnam War and the Manson Family looming as sinister signposts, Leavitt gives us these two sisters, Lucy and Charlotte, as proxies for what America had and might become. But she gives us much more than the political and sociological. This is a compelling, deeply felt novel that ends far from where it began, one that showcases the elegance of Leavitt’s prose, the propulsive force of her narrative, and most of all her deft, soulful chronicling of the human spirit. Recently short-listed for the National Book Award for Fiction, The Underground Railroad is the story of Cora and her dream of freedom, a foundational American aspiration that endures in spite of everything America herself does to undermine it. From the institutionalized barbarism of slave-catchers and regulators, overseers and masters, to the more subtle though no less daunting challenges posed by dissension among the oppressed and indifference among the free, this is one woman’s odyssey of hope and fear, the dangerous seduction of motion juxtaposed with the lure of stasis. Whitehead’s genius here is in creating a tale of real historical, sociological, and political import that never descends into polemic. Rather, The Underground Railroad moves like its namesake and more than that the cause of racial justice in America—at times hurtling towards apparent success, at others stopped cold, perhaps forever. There’s no denying the strength of character escaping slavery demands of Cora (and must have demanded of everyone subjected to it). 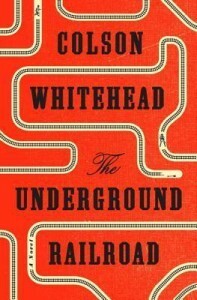 But Whitehead takes us deep into all of the people who orbit Cora, exposing the secret costs slavery exacted of them and America as a whole. Costs America pays to this day. In The Underground Railroad, there are no pointless “villains.” Characters that might, in a different writer’s hands, so easily become two-dimensional are given their dues. From rich whites bred to and utterly corrupted by their “mastery,” to the economically disadvantaged slave catchers that draw identity from hunting and tormenting other human beings, to the current and former slaves convinced out of fear, selfishness, or any number of other motivations to betray the people they might so easily have become there are no antagonists stripped of their humanity. Through this vast cast of characters, Cora must make her way, trusting only in her overwhelming desire to be free. Trusting in a destination she can never be sure of, a destination (in a dramatic masterstroke) readers can never be sure of until the book’s final pages. This poetry collection turns on the physical and, even more so, the emotional challenges of being transsexual in post-post-modern America. The canvas it presents is one dominated by reds, blacks, and grays and there’s no easy way around that; not that Espinosa is looking for one. If this collection has one overarching theme it’s that the way forward almost always comes through pain. And a great deal of it. The corollary to this is that the author, one who has experienced so much pain, must fight to move beyond that pain; the fear that if she doesn’t, no one else will help her. The world Espinosa describes is familiar of course, the challenges of fitting in and finding oneself easily relatable when we strip away the overwhelming issues of physical transformation. The freedom that goes with accepting who we are, the challenges of convincing the rest of society to treat us with respect and, more than that, to treat us not as they see us but as we see ourselves—these are the obstacles There Should Be Flowers confronts. This is a raw, jarring volume, a collection made up of blunt statements, largely devoid of innuendo. Civility here has been stripped away by the challenges of life, challenges far beyond what most of us can imagine. This is a deeply personal collection; one with the capacity to bring us all closer to seeing the spirits not just of transsexuals but of so many who struggle with their bodies. 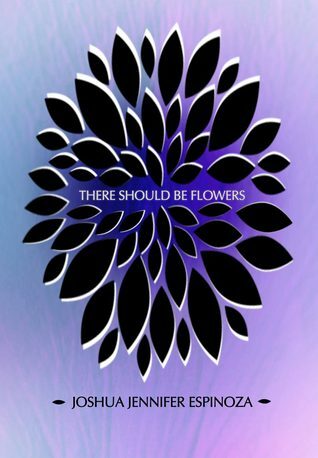 In perhaps the greatest praise I can give, There Should Be Flowers is a book that will transform the way you see transsexuality. The Red Car is an existential mystery, one that hinges on humor, voice, and the way these two narrative qualities can work together to create real suspense. 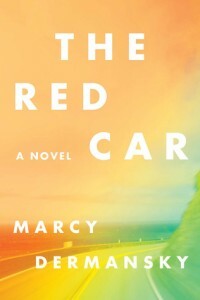 The car itself is the book’s symbolic centerpiece, part of an inheritance a New York writer (thirtysomething Leah) must travel to San Francisco to claim. The inheritance comes from Leah’s former boss, a sort of big sister/mother figure from whom Leah had become estranged. The story’s real center is Leah herself. In addition to her inheritance and the funeral for her friend Judy, Leah has just finished a draft of her first novel, and been assaulted (choked) by her husband, fellow writer and self-absorbed semi-lunatic Hans. It’s obvious early on that Leah’s life is set to change drastically, if not completely implode. Benevolently haunted by the voice of Judy, a friend willing to give her advice on everything from the spiritual to the mundane, Leah sets off on a Californian fortnight of drinking, light drug use, reunions with old friends, and random hook-ups. All the while, Leah makes you care about her as she blends her trip into the adult world with deeper, lingering needs of her childhood and young adulthood, goals as simple as wanting people to like her. Told in a quirky, matter-of-fact voice, there is, nonetheless, an ironic thread of magical realism woven into this story, from the random way the plot comes together to the book’s key conflict, the way Leah makes peace with her own needs and the fate of her marriage. These magical elements aren’t significant enough to leave you doubting Leah as a narrator, but they do open the text up to additional interpretations, from the feminist to the psychoanalytical. Bottom line: this is a book you’ll breeze through and be happy you did, except perhaps in seeing Leah go. She’s a character who, despite her extreme anxiety and the resulting raft of suspect life choices, you can’t help but like. Fragmented in structure and varied in tone—as though a metaphorical representation of America’s fractious gun debate; or, worse still, that of a society ripped apart by the physical, psychological, and political effects of gun violence—The Shooting is a book that insists you care for its characters despite the obvious nature of its politics. And, let’s be clear, this is by far the most overtly political book I’m covering in a column dominated by political books. Though in some ways as close to nonfiction as fiction can come, this is no simple sermon on gun control. 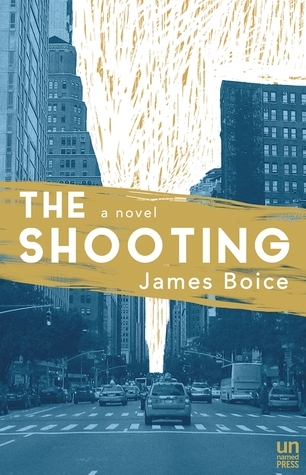 Somewhere between a novel and a linked collection, framed with a sort of beguilingly poetic architecture formalists will appreciate, The Shooting is a drama about a poor, young, black child in the wrong place (with the wrong rich, troubled, gun-obsessed, white man) at the wrong time. In a sense, it’s like Boice is bringing the news to us. Rather than the clipped, colorized two-dimensionality of television or the Internet’s whirling game show of half-lies, this is the news we need to understand our world, a rich, parallel reality rendered with nuanced backstories. In these pages, you can almost hear the tears of children like Trayvon Martin, the screams of parents mourning massacres from Connecticut to California. But rather than an indictment of all guns everywhere, this is a portrait of the many costs that come with our love of guns, the way a broken system can so easily result in mistakes that seem insignificant if you are untouched by them, but truly do have the capacity to shatter lives. Readers of The Shooting will feel their hearts fill with empathy for everyone from shooters and activists to victims and families. This is an inventive, pointed, at times even majestic book, one that showcases James Boice’s considerable literary gifts. 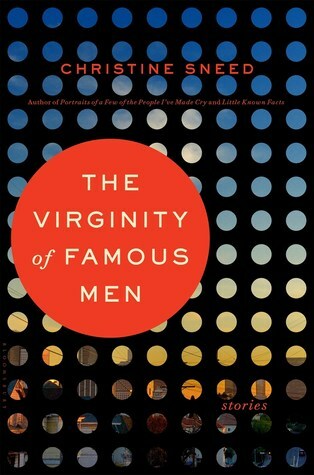 In a short fiction scene currently smitten with flash, Christine Sneed’s The Virginity of Famous Men is something of an outlier. A collection of longer stories cast in the classic, American tradition, this is a carefully balanced, fully realized set of several-thousand-word pieces, any number of which you might come across in The New Yorker, Ploughshares, or some year’s edition of Best American Short Stories. Filled with interesting content about the film business (at various points from the industry’s chilly periphery to its steamy superstar center), smart humor, and realistic characters, these stories are light on experimentation, though Sneed does make a few interesting formal choices. In addition to an entire story constructed as a curriculum vitae (“The New, All-True CV”), Sneed uses one recurring device I enjoyed quite a bit, “the time-stop ending.” A story with a “time-stop ending” concludes unexpectedly, avoiding the usual, extended denouement. The reader is left to construct the ending herself, suggesting there are, in fact, no easy, moral answers to Sneed’s stories, that reality could work out any number of ways. The Virginity of Famous Men is about patriarchy, the pitfalls and pratfalls of a societal structure that leaves older, successful men as its silent beneficiaries, women and (to a lesser extent) younger men as its victims. But this isn’t a political book. This is about real people, living real lives, many struggling with romantic relationships or the lack thereof. In The Virginity of Famous Men, Sneed gives readers a heady display of literary talent—skill broad enough to pull off drama and comedy in equal turns, deep enough to do so with seemingly effortless style and grace.